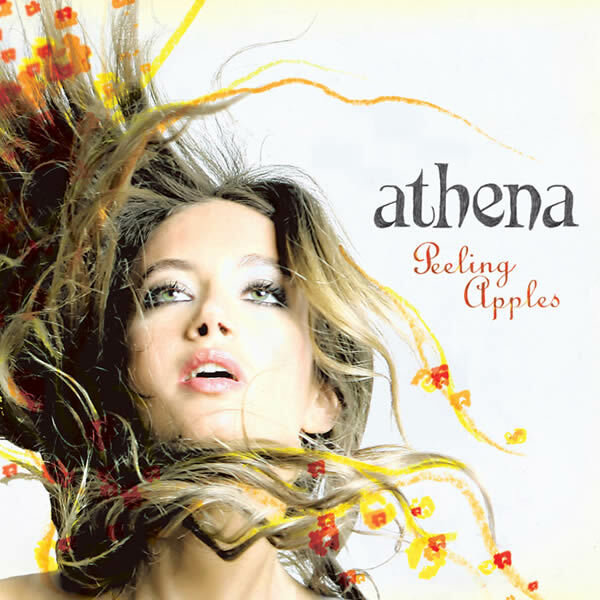 Peeling Apples is Athena’s second album released in 2012. Peeling Apples was co-produced by Swedes Magnus Frykberg and Tobias Froberg (Ane Brun and Lisa Ekdahl), and co-writers on the record include Richard Causon (Ryan Adams, Ethan Johns, The Kings of Leon, Rufus Wainwright), and Jamie Hartman (Joss Stone, Anastacia) features on a duet. Further to headlining London Bush Hall, her first single ‘Finding England’ off Peeling Apples featured on the cover album of Word magazine and was selected for the Visit England campaign to coincide with the London Olympics 2012. In Greece and Cyprus Peeling Apples was released by UNIVERSAL-EMI and spent weeks in the top 10 charts, as well as playlisted on several radio stations. The record Peeling Apples was also very well received in the USA at South by South West (SXSW) and during a performance at MIDEM, Billboard magazine indeed commented that Athena is “a talented rising star” having heard songs from Peeling Apples the album. ‘All Over Again’ from Peeling Apples was licensed in the USA for a Lucy Liu movie (Nomads). The songs were played on both US and UK radio shows and has appeared on several radio shows in the UK including BBC RADIO 2 Live, BBC RADIO 5 Live and ABSOLUTE RADIO.